I have to admit that when I first learned of the designer Casapinka, I was kind of intimidated by the idea of approaching her about posting on Indie Untangled. 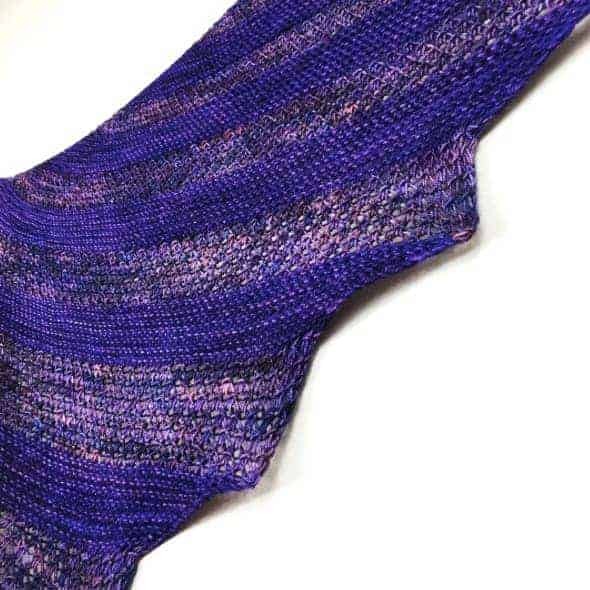 I had discovered her Loop shawl at the first Maryland Sheep & Wool indie pop-up at The Knot House and thought she was so talented with her innovative use of variegated yarns. 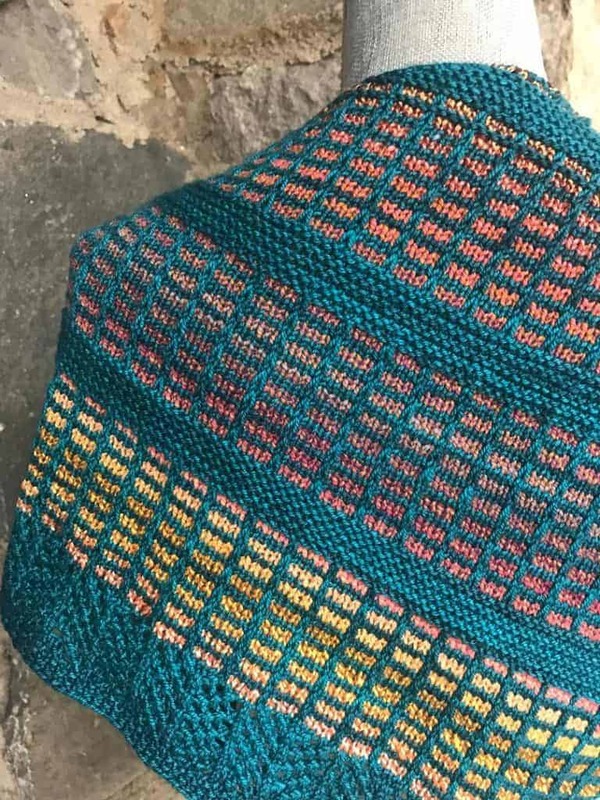 I was also in awe of her colorwork skills with the Fall Is a Color hat that she designed for the 2015 Rhinebeck Trunk Show. When I learned she has worked as an ER doctor, I was convinced she was one of those people that is just so amazing at everything that you should probably hate them. You’ve worked as an emergency medicine doctor. How did you decide to become a designer? Designing found me rather than my deciding to become a designer. I was very ill with Lyme Disease and I couldn’t stand lying around doing “nothing.” At least knitting made me feel productive… and then I found indie-dyed yarns. And I got addicted. You see where this is going! How did you come up with Casapina and why do you use it as your designer name? I chose the name Casapinka in 2007 when my husband and I bought a house that needed some work. Design blogs were just getting started and I would post about painting my dining room hot pink, wallpapering my dishwasher, that sort of thing. 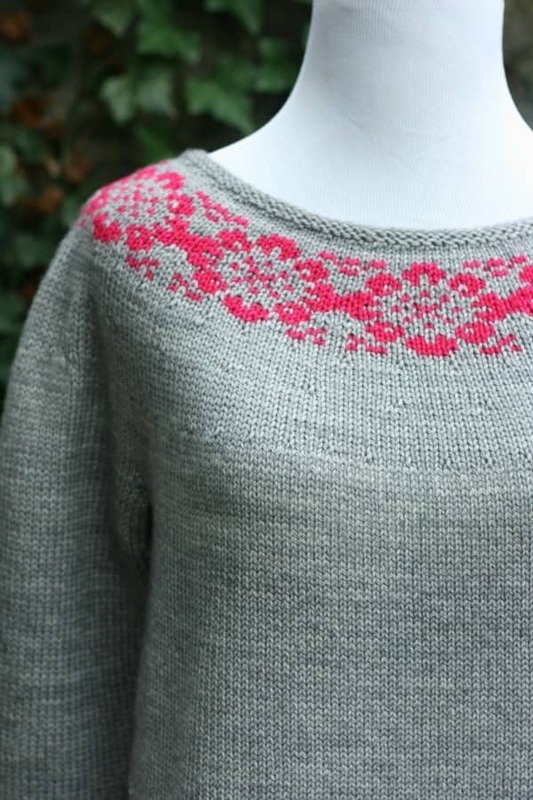 So the “Casa” part refers to the house and the “Pinka” was just chosen at whim… and then when I segued into knitwear design I just kept the name because it fit me. As an exchange student in high school, I lived in New Zealand, land of three million people and 70 million sheep. I was stranded one week in the rain during spring vacation at a friend’s house on Lake Taupo. It poured for days and her sister knit most of a sweater during this time. It looked so boring and lame to be knitting, but as the week went on, we’d watched a bunch of movies and had nothing to show for it — and she had this amazing sweater. 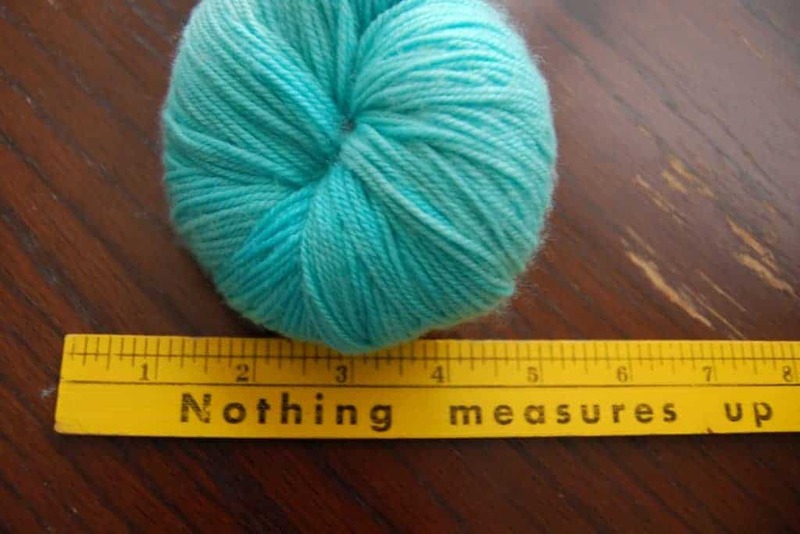 I actually thought those tiny needles and the slowness of knitting meant actually making a sweater was impossible, but as a metaphor for anything difficult, knitting consistently builds on itself. I was completely hooked and learned how to knit intarsia immediately so I could “draw” with my yarn. Tell me about what inspires your designs. Color! I adore rich color, hand-dyed yarn, and how different stitches work to show off the colors in the yarn. It usually begins with a color combination that catches my eye or a stitch pattern, a photograph, or some combination of the three. Seeing how indie dyers combine their colors is also inspiring and I never tire of looking at their Instagram posts. What’s the first thing you do when you start designing a pattern? It all begins with the yarn. If I know I want to knit something in particular (for example, I’m working on a swing coat right now) I don’t do anything until I find the right yarn. Sometimes, the yarn isn’t available in enough yards. Sometimes, it’s discontinued or in another country, or looks different in person compared to online. I adore when a local yarn store has a yarn for me because it’s the best of all worlds. If a dyer has contacted me to do a design, I have to get the yarn first. Sometimes I’ll do a private Pinterest board with the dyer to get an idea of a particular inspiration that they would like, but usually I get free reign. If I try too much to make it into something specific I fall flat on my face. And finally, I’m sometimes asked to submit a proposal or draw a design that I have in mind. My drawings are laughable and do not reflect what goes on in my head. I can’t seem to make my vision go through my hand onto paper — just onto knitting needles. What are your favorite colors and have they changed at all since you started designing? Despite the moniker “Casapinka” I adore aqua. All shades of aqua! I also love pink but not all colors of pink. A gorgeous blue-red cannot be beat. Magenta (is that considered pink?) and recently certain greens are on my radar. It has absolutely changed and constantly changes, especially with the invention of speckled yarns. Suddenly, I can have a tiny bit of a certain color and it grows on me until I’m in love, like some of the gold/yellows… Oh, and did I mention coral? That’s a new obsession! 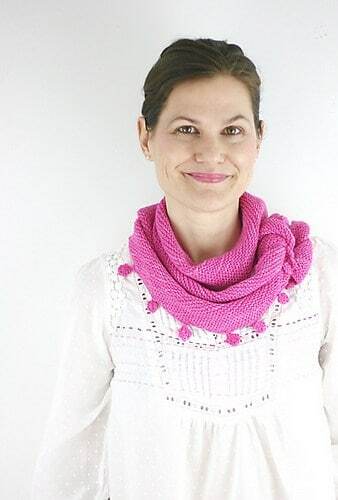 You’ve published a few sweater designs, but is there a reason you stick to shawls and accessories? This is entirely by accident. I’ve made and designed a lot of sweaters but didn’t publish them because I don’t enjoy grading of sizes — and only learned about the all-important technical editor a few years ago. I’m fairly addicted to shawl knitting but I also have plans for more sweaters. The portability of accessories is also handy, as I have ended up knitting during swim meets, robotics practices, and Rubik’s Cube competitions. I actually have a tunic, a sweater, and a coat coming out in conjunction with Edinburgh Yarn Festival. Where is your favorite place to knit? I love, love, love knitting in airports. I’m a plane/airport geek and can sit there for hours staring out at the runway, coffee by my side, phone turned off. I’m one of the rare humans who welcomes an airport delay (if I have my knitting, of course).